Leave Johannesburg before dawn and stop in Serowe for meat and dairy supplies, which you’re not allowed to bring into Botswana. Although the journey is 650km, the road isn’t great and border formalities gobble time, so it’ll take about nine hours. If you arrive early, go for a game drive through Khama Sanctuary – your best chance of seeing rhino in Botswana. 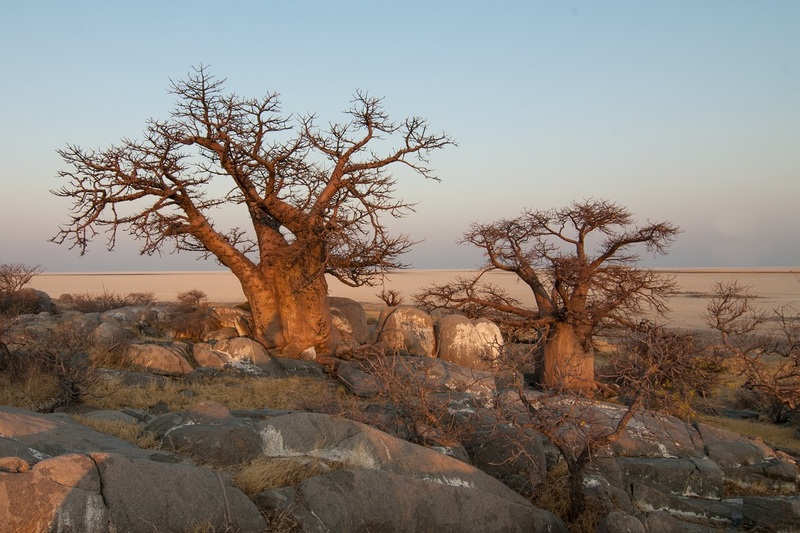 Photographers love Kubu Island on Sua Pan with its huge boulders and baobabs against the pan’s lunar nothingness. Kubu Island Community Camp is rough camping with a long-drop toilet – be self-sufficient, including firewood, water and loo paper. Go exploring, climb the rocks next to the baobabs to watch sunset colours shade the sky over a never-ending landscape, stargaze after dark, and wake to watch the sunrise. Use Tracks4Africa’s GPS Maps to navigate across the pan to Planet Baobab for your third day. Turn right onto the A3 and look for a giant cement aardvark marking the turnoff. Go for a swim, have a hot shower, admire the traditional huts and baobabs, and enjoy a drink in the funky bar. Alternatively, spend both nights at Planet Baobab and explore Ntwetwe Pan on quad bikes. Enter Moremi at South Gate. Drive two hours through thick sand to Third Bridge Camp along the river. It has ablutions with running water and flush toilets, but no fences. Expect kleptomaniac baboons (keep all food locked away), elephants or hippos to pass through camp. Make sure to watch out for spotted hyenas at night. 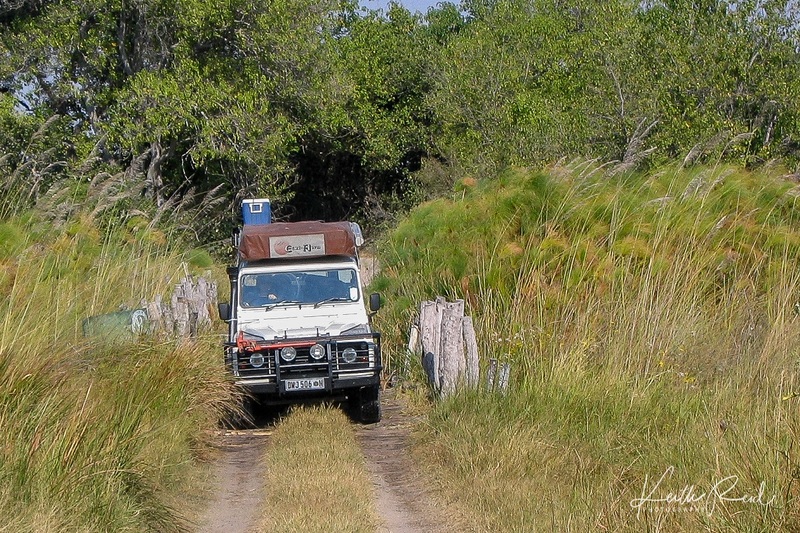 Cross the narrow log-bridge for game drives along the fringe of the Okavango Delta. 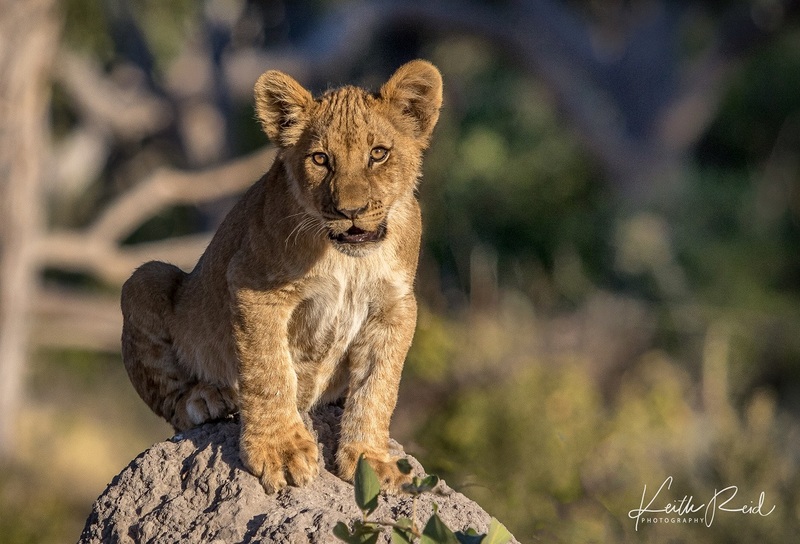 Look for lion, elephant, leopard, buffalo, zebra, tsessebe and red lechwe, even cheetah and wild dog. Use your binos to spot some of the 500 bird species on offer. Don’t miss a guided mokoro ride from Mboma Boat Station 15km east of camp. Glide along the waterways and hear the pole’s rhythmic splash in the water, and see wildlife and water lilies from water level. Book this when you arrive at South Gate/Third Bridge. Alternatively, make your sixth day’s drive shorter by staying at Third Bridge only on day four and game driving to North Gate on day five. Leave Third Bridge at dawn for an eight- to nine-hour drive. Head for North Gate, but take in the hide at Hippo Pools along the way. Don’t try to cross the Khwai River. Tracks4Africa GPS Maps shows a detour across a log-bridge in a nearby village. Enter Chobe National Park and drive towards Savuti Camp. If the roads are wet or slippery, avoid the more scenic marsh route. The sand-ridge road is faster, but has heavy sand, undulations and mopane veld. Some campsites overlook the Savuti Channel, with trees for shade. Expect running water, flush toilets, no fences and a visit from elephants. This is one of my favourite areas, alive with wildlife. We’ve seen lion kills, lion cubs, multiple wild dog sightings and lots of elephants. 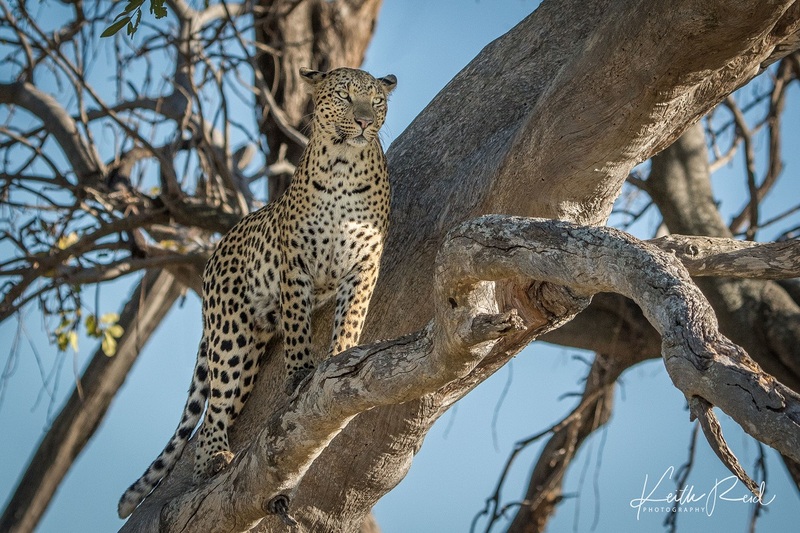 Even a few leopards have made their appearance. More sand driving to the Serondela section of Chobe. Don’t be fooled by the distance of 160km; it will take around four hours. Your first sight of the Chobe River will delight, with hippos honking, and buffalo and elephants drinking in the late afternoon. Chobe’s unfenced Ihaha Camp has a river view and ablutions that were well-maintained when I last visited in 2016, though I’ve heard complaints since. Avoid Site 2 where the tree is a haven for baboons. Don’t miss the riverfront game drive, especially in the pink dawn light. 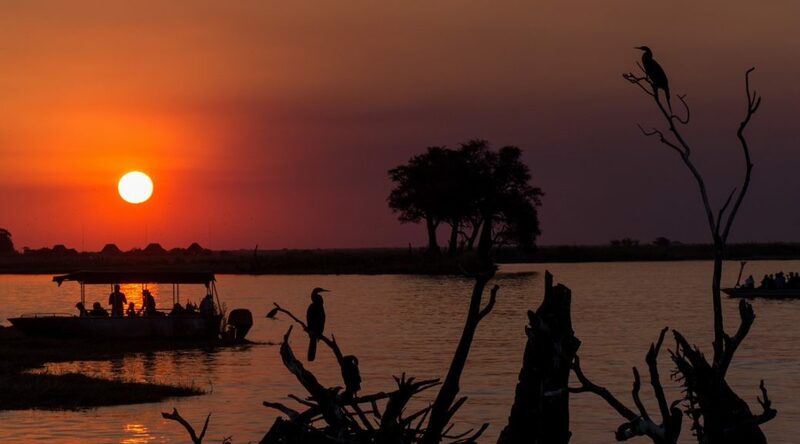 Spend night nine at Chobe Safari Lodge Camp in Kasane, just 40km away, so you can enjoy a river cruise at sunset – one of the best things about Chobe. Get close to elephants, crocs, water monitors, hippos and a host of fish eagles and kingfishers. You’ll remember forever the bright oranges and reds as the sun sets over the river. On your way back to Johannesburg, stop at Woodlands in Francistown – 500km from Kasane. The campsite is clean and shaded. Avoid wet season when there’s water in the Makgadikgadi pans and some roads are impassable. Even in dry season, there’s a chance of getting stuck in sand in the Makgadikgadi or in mud in Moremi, so it’s best to travel with two vehicles. Deflate your tyres to avoid getting stuck in deep sand. Come well-equipped with T4A’s GPS Maps, spade, sand ladders, tyre repair kit, compressor, etc. Don’t drive at night – animals on the road can cause accidents. 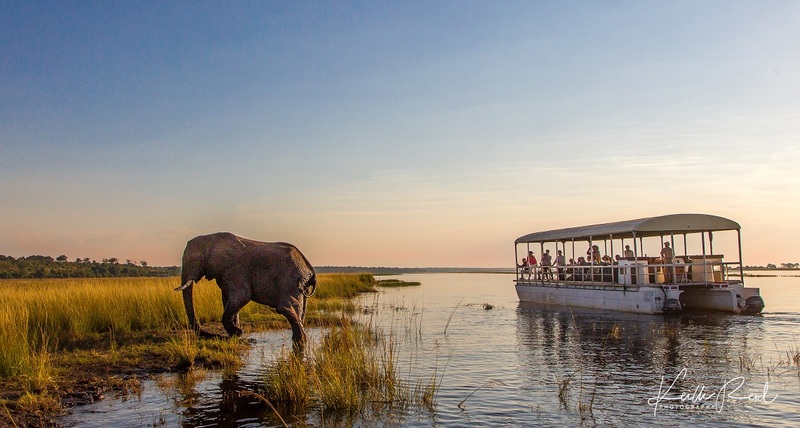 What’s on your Botswana list for the most unmissable experiences in 10 days? Tell us in the comments section below. 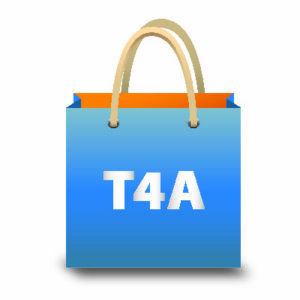 Previous PostT4A launches new online storeNext PostWhat’s new on T4A’s GPS Maps Version 18.05? I agree with Henk. Having done this route twice it takes a lot of time to set up and take down your camp. More importantly don’t underestimate how tough the driving is, it’s rough especially the Moremi to Savuti section and accessing Kubu so be prepared for hours of hard and exhausting driving. 1. A flight from Maun over the Delta to get the full picture. 3. A hop over the border at Kasane to Vic Falls (can be a day trip from the border with an operator). We have done parts of this trip and can only agree how special it is. So much that we tried planning it several times. The biggest difficulty? Being able to make the reservations at all camping sites to allow it being one trip. In some cases they say they’re fully booked until “next year” but never specify when the sites are free. Any tips to book the whole trip? I agree this is a great 10-day trip in Botswana. As a first timer with Tracks for Africa do we need camping equipment, or do you supply it as well as food , or do we have to bring my own? Have done trips to Botswana with friends. we then had the equipment but no longer do. Tracks4Africa is not a travel agent. This proposal is a self-drive suggestion to do on your own with your own 4WD-vehicle. It is an excellent suggestion, but not recommended for beginners. For clarity: I am only a reader and traveler and in no way affiliated with Tracks4Africa. I’m sure it’s an awesome trip. Would like to do it around July 2018.